Paperwork 101: Which Documents Do I Need to Hire an Independent Contractor? Could your business benefit from hiring a freelance writer as an independent contractor? Whether you need someone to draft customer newsletters, write your web content, or hone your technical guides, chances are that you have projects that could be better handled by a freelance writer rather than heaping another responsibility on an employee that is outside of his or her core role—or skill set. However, despite some clear indicators that working with a freelance writer could be a good fit, many business owners dismiss the idea for one reason: paperwork. There is a false narrative that most business owners have heard at least once that the paperwork required to work with a freelancer is complicated and time-consuming. The reality? It isn’t. The paperwork is different than that which you use when you hire employees, but it’s not really harder, and in fact, it may be a little easier, since independent contractors pay their own taxes. As long as you collect the right paperwork, you’ll be ready to start reaping the benefits of hiring a freelance writer to work with your company. Here’s a closer look at what you need. A W-9 is a form that allows you to pay your freelance writer as an independent contractor. In other words, it is the form that frees you from having to pay FICA and income taxes for them. Any time you pay a freelance writer more than $600 within a tax year, you will need a W-9 form on file. The W-9 is also called a “Request for Taxpayer Identification Number and Certification.” You should provide this form to the freelance writer at the start of your working agreement. He or she will complete it and return it to you. This form provides you with the name, address, and taxpayer identification number, or TIN. Pay careful attention that they mark themselves as exempt from withholding taxes. This classification means that they will pay self-employment tax rather than you withholding taxes from their payments. Filling out this form helps you know that the freelance writer with whom you are contracting is a U.S. citizen or legally allowed to work in this country and that they are agreeing to take on the burden on filing their own taxes. You don’t have to send the W-9 form anywhere when you get it from the employee, but you are required to keep it on file for at least four years. You will need the information on the form to prepare a 1099-MISC. Note that if you would like to contract a non-U.S. resident or citizen for work, then you should use a W-8 BEN form instead of a W-9. This form is the independent contractor equivalent of the W-2 you provide to your employees. Using the information on the W-9 and your records of payments to the freelance writer, complete form 1099-MISC with all of the requested information. It’s important to keep careful records of payments, so that you can report this information accurately. Ask your freelance writer for invoices for all payments, and develop an internal recording for tracking them, similar to how you do payroll. You generally need to follow the same schedule with 1099-MISC that you do for W-2s. Your 1099-MISC should cover all of the payments you made from January 1 to December 31 of a given year. Your freelance writers should receive the 1099-MISC no later than January 31 of the new year. The IRS should receive their copy no later than February 28. Your freelance writer will use your 1099-MISC to file his or her own tax return, and the IRS will use the form to verify your contractor’s filing. You should always have a written contract with any freelance writer you hire, no matter how small the job. At a minimum, the contract should state the scope of the job, the dates of the job and the deadline for the work (although this may be ongoing), the agreed rates for the job, and when payment will be made. The contract should also state what happens if payment is not made, and whether the freelance writer or the company owns the work that is created. You contract should also clearly state that your agreement is not an offer of employment and the terms of your agreement are on an independent contractor basis. Both parties should sign the contract, indicating that they accept the terms. On an individual basis, confidentiality and non-compete agreements may be appropriate for the work that is being produced. If you find that these are necessary, they should also be attached to the contract. The IRS will not ask to see your contract with your freelance writer in normal circumstances. However, it’s important to have it on hand. In addition to ensuring that you and your freelance writer are on the same page, you will also be required to produce it if you are audited and are asked to prove the working relationship between you and your contractor. These forms are not required, but they can also be helpful in the case of an IRS audit. Many company owners also find them handy to have, as they can be helpful in vetting future freelance writing applications. For example, if you work with a freelance writer who does an excellent job, you can use his or her resume or work experience documentations to set a bar for the qualities you are looking for in additional freelance candidates. Don’t let the unknowns of working with an independent contractor keep you from reaping the benefits of working with a skilled freelance writer on your business projects. 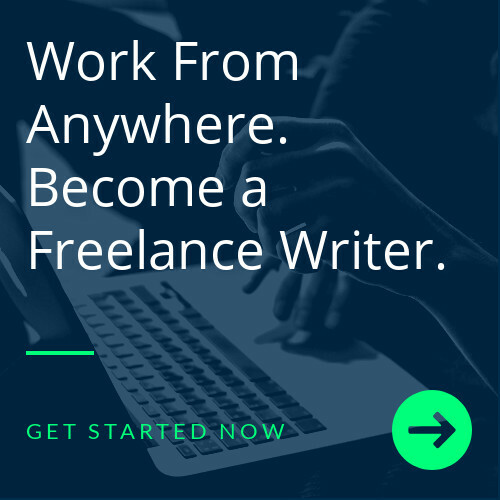 Writers Work takes the guesswork out of hiring writers by connecting clients with skilled and experienced freelance writers. Use our service to browse writing samples and review the experience of our community of freelancers to find the right writer for your company’s specific needs. What Is a Content Mill, and Should I Work for One? Should You Continue to Write for a Difficult Client? Do I Need to Pay Taxes and Benefits When Hiring a Freelance Writer?